Hungry Horse Outside is an equine rescue service, based in co. Longford, but through our work, our volunteers are left to travel all across the country..
As a charity, we are looking to find a way, to show a small to show a small insight into what our volunteers do and the process that takes place in order to rehome Ireland’s forgotten horses. We are looking for anyone, who would be happy to volunteer some of their time, in making an advertisement or short documentary, that could be shared across social media. Maybe you’re a college student that would like to add to your portfolio or someone who has a genuine love of horses, that’s also worked in this field. 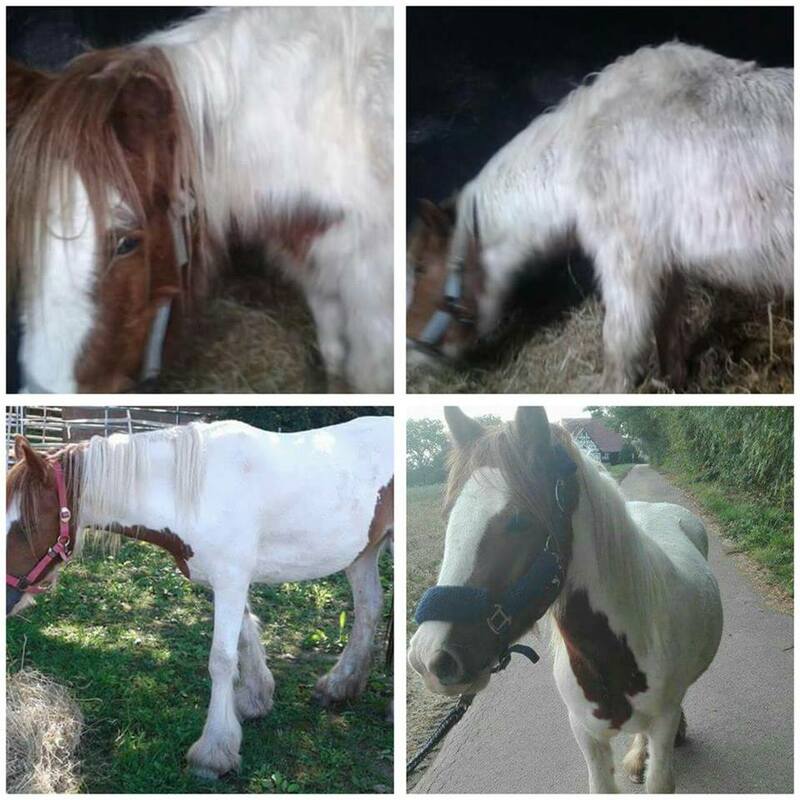 We are making this appeal for help as the phone calls continue and horses are being badly treated still in this country..
Also if anyone would like to make a small donation, please do, by visiting our pay-pal account. All donations go a long way and are massively appreciated..
We waited anxiously for news, then early Saturday morning we received it. Saidie was home, she had finally arrived at her forever home and her family are thrilled with this special girl. Sadie’s story gives us hope for everyone. Saidie will now have the life we could never give her, a life we could only dream of. Good luck Saidie, as always it has been a pleasure, we wish you all the best in life. 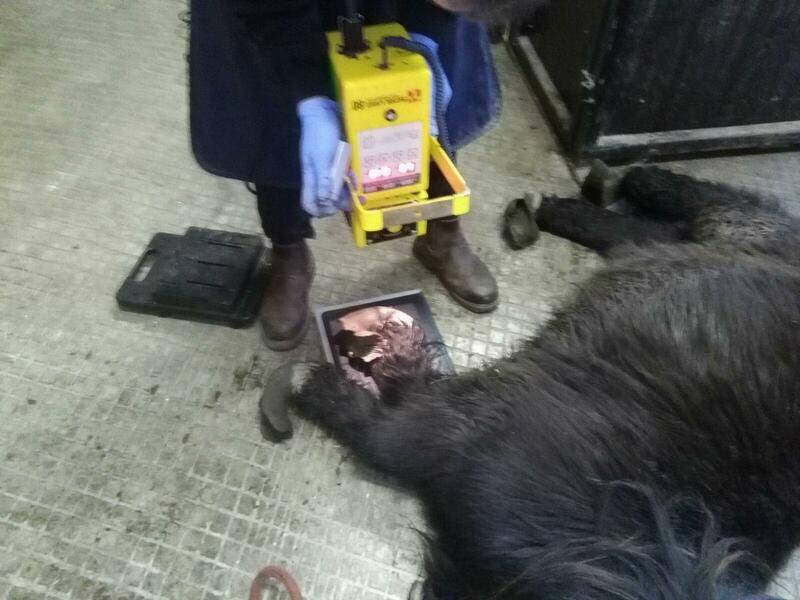 On a Friday evening in late September 2016, the telephone rang, a vet, extremely worried about a pony who had been reported to him. 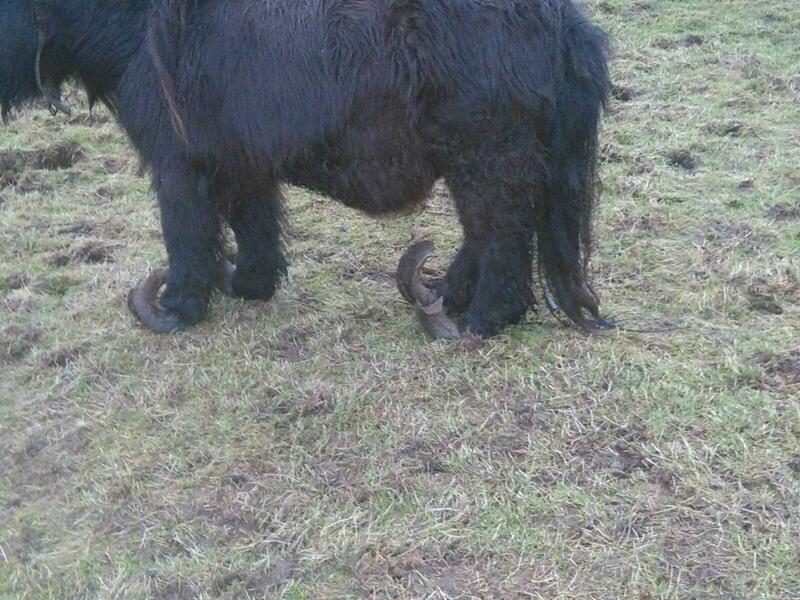 He was described as having hooves so long he was barely able to walk. 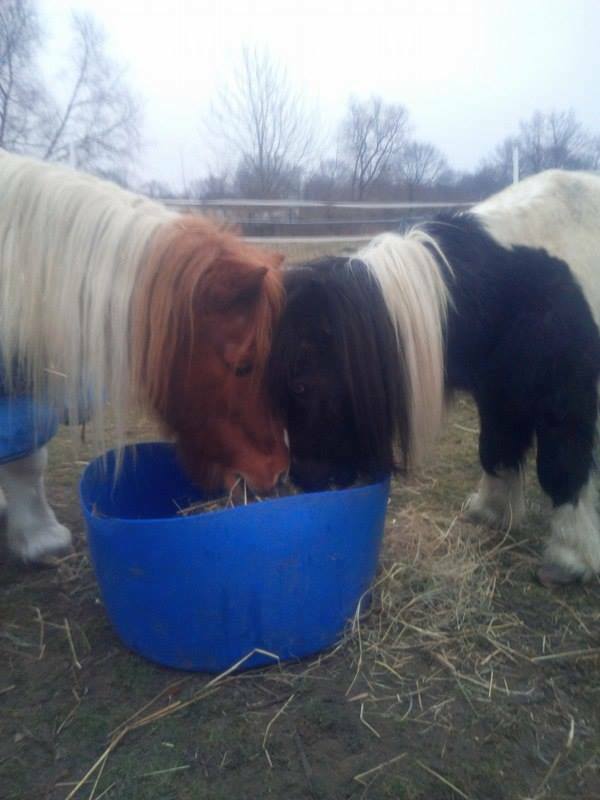 When HHO volunteers arrived at the location, they were met with a beautiful little pony, we later named Mr. Darcy. Piercing blue eyes full of sorrow, Mr. Darcy was in so much pain, the could barely stand. It took over an hour to walk him through the marshy field. After falling four times the volunteers managed to get him to where he could be safely loaded. 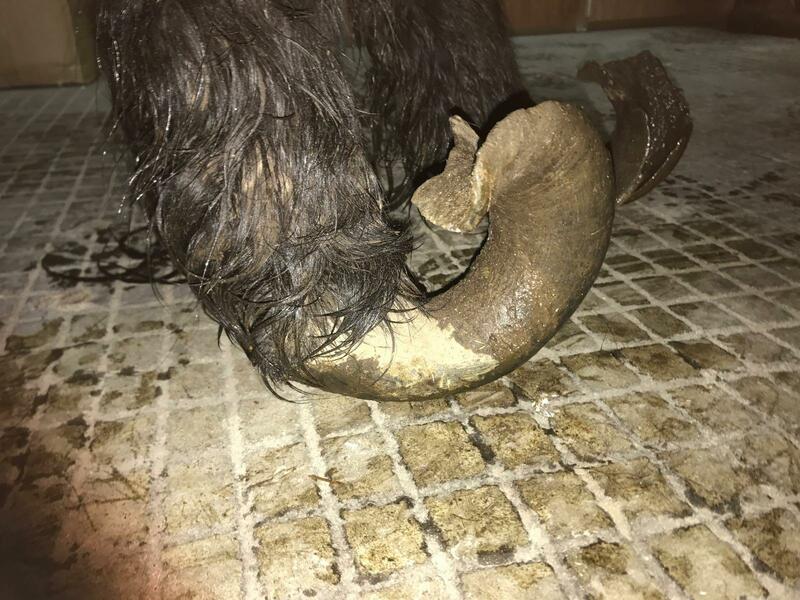 The general concensus within the volunteers was we were too late to help, the damage was already too much to him, what seemed like a lifetime later, Mr. Darcy arrived to the veterinary hospital to receive his immediate treatments. came and rather unexpectedly brought good news. Mr. Darcy was saveable, with adequate treatment he would lead a normal, happy and fulfilled life. Everyone was overjoyed and could not wait to bring him home. 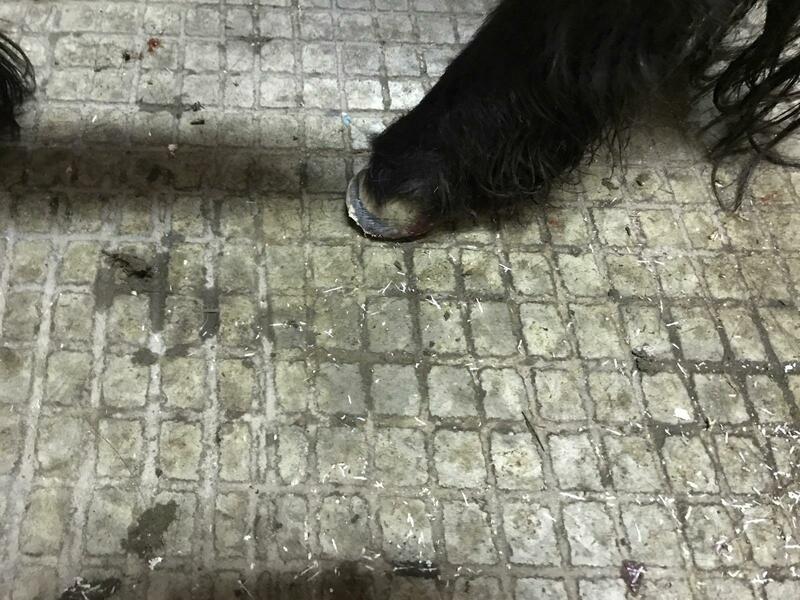 His farrier treatment commenced and slowly he progressed, his walking improved daily and finally he turned a corner, he was completely pain free. The day we saw our beautiful little Mr. Darcy bucking and leaping was the day we knew he was ready to find his forever family. 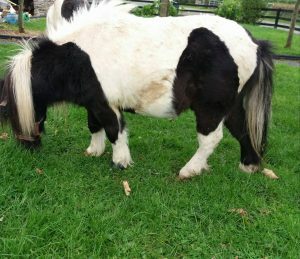 Almost 5 months after Mr. Darcy arrived at Hungry Horse Outside, he left us for a new life with his new family in Germany. 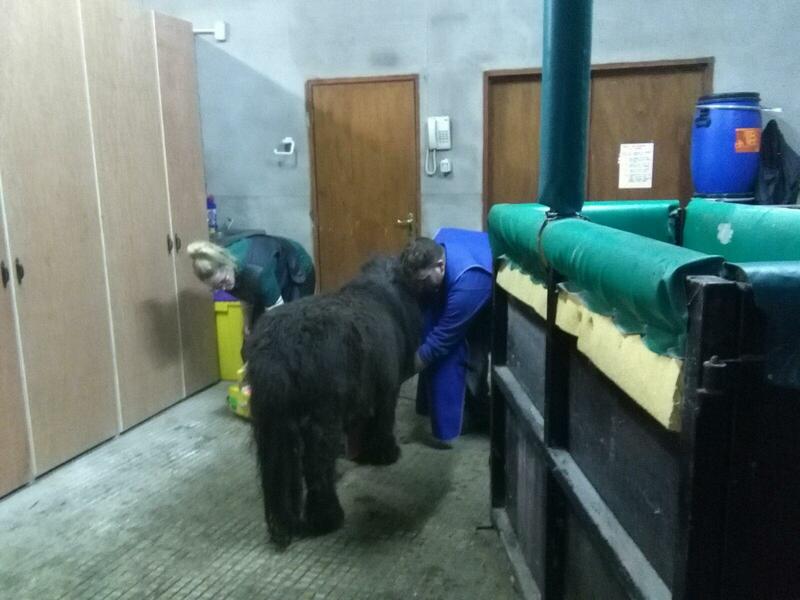 As he jumped on to the ramp of the lorry, we burst with pride, the little man we were so sure we would lose full of life, happiness and character. Mr. Darcy continues to live the high life in his new home, where he is cherished every single day. We are delighted we got that call to help. 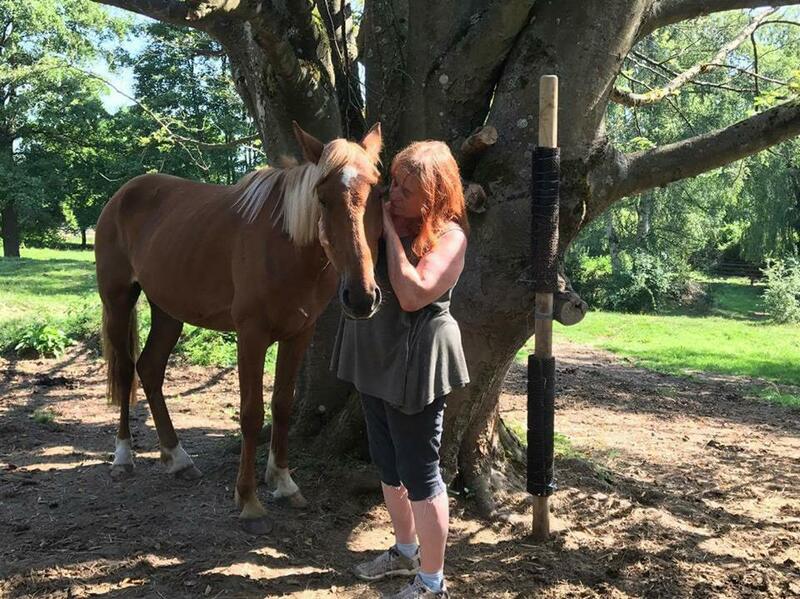 To see Sabrina now, happy, healthy and full of life it is difficult for us to comprehend it is the same pony we met last January. Terrified, bones protruding, lifeless eyes and generally fed up of life. She has been through so much and she was barely two years old. She stood in our yard with the other 11 rescued after fighting for survival for so long. Her little body weak but she emitted an aura of kindness and smallest little hint of wanting life to get better. In her heartbreaking state she walked around our yard gathering up the little weak boys and girls and mothered them, always protecting them sharing her stable and her food , despite being so hungry herself. 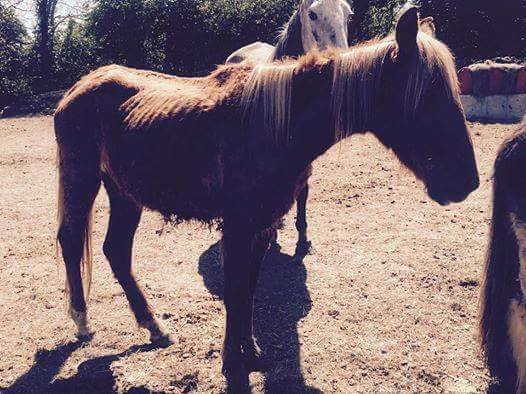 Sabrina had been through so much in her short life, she had spent so much of last winter with Her companions dying in the field she was stuck in. Day in day out she and the others past their carcasses in search for food. We cannot even imagine how horrendous that could have been for them. the others came to life again, They underwent intensive care from the HHO team, standing with them every step of the way. To let them all out to grass for the first time was fantastic, to see these horses who has suffered so much buck, kick their heels up and play, these little land mark moments may seem l trivial but they meant so much to those who rescued them. Our proudest moment came when each and everyone of them received the all clear to be re homed. Looking every inch the beauties we knew were there last January when we could only see bones. Sabrina’s time to shine came when she received her home offer almost the last of the 11 to find their family. She’s now been adopted by a wonderful family, to have a family of her very own, who worship her is exactly what we wanted. Lovely Sabrina, has a wonderful future in front of her and we couldn’t be prouder.